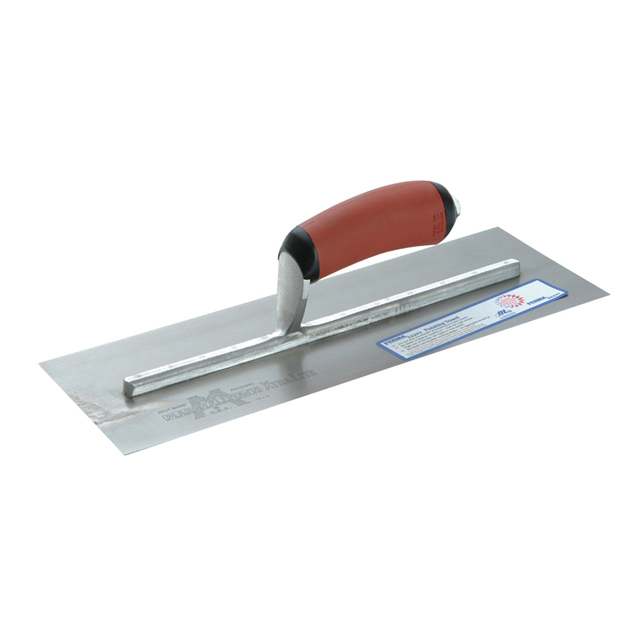 The Marshalltown MPB Permashape finishing trowel is a top quality plastering trowel with pre-worn shape which eliminates line and ripple marks right from the start. High grade hardened and tempered carbon steel blade with bevelled work edges which prevents surface aggregate popping and the correct blade shape, allows novice finishers to be able to produce a professional job. The curved DuraSoft® handle is held firmly by a nut and washer.